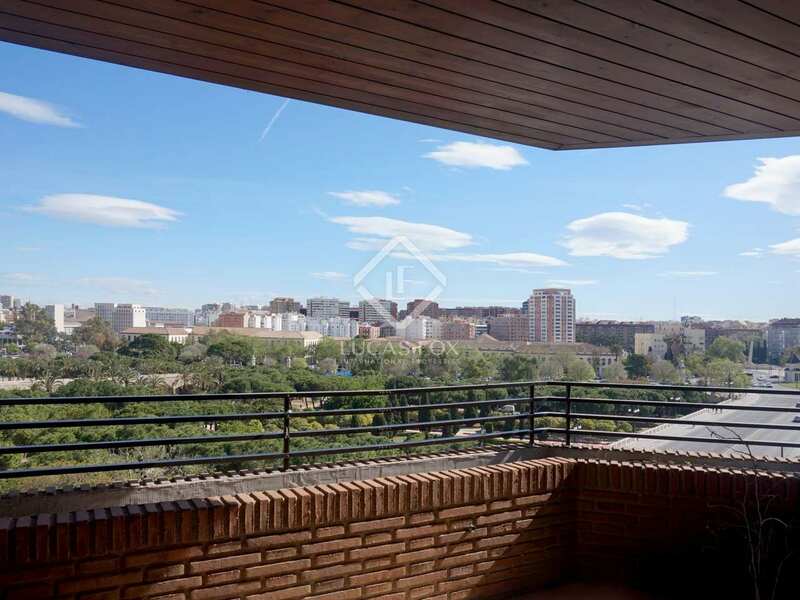 Bright apartment with spacious rooms with large windows and incredible views, next to the Turia Gardens and Gran Vía. 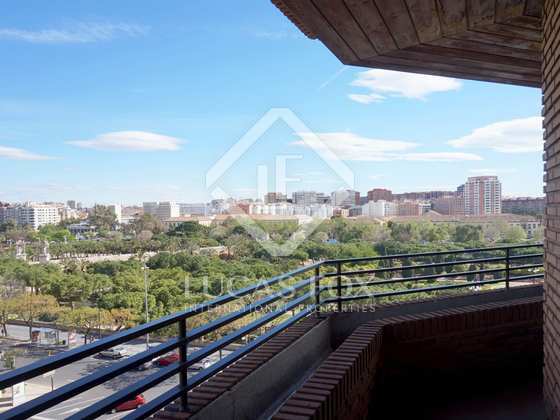 This spacious apartment of 245 m² is in an unbeatable location next to the Turia River Gardens and Gran Vía del Marqués del Turia. 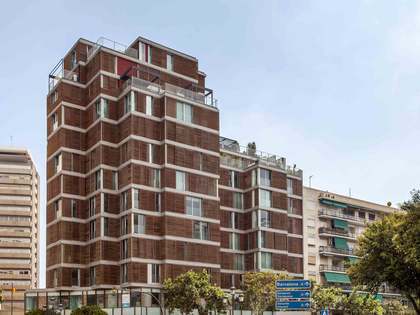 It is in a solid, contemporary style 1980's building It stands out for its long, curved façade and offers concierge and security services. In addition, the price includes 2 parking spaces and a storage room. Thanks to its location on a corner and its orientation to the northeast, the apartment enjoys incredible panoramic views of the Turia Gardens and abundant natural light, with sun in the morning and afternoon, and cross ventilation. The property on a single level, with good sized square rooms. 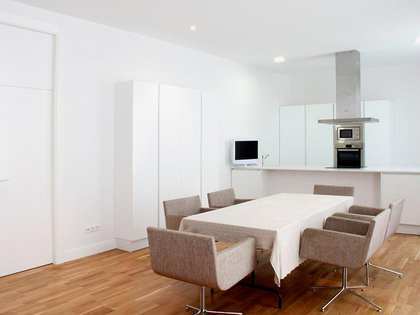 It has a good, very versatile layout with visual connections between the rooms. It would be possible to create different spaces according to your needs, such as making some of the rooms larger or creating further bedrooms. The apartment has a service entrance and a main entrance. The main entrance leads to the living area. 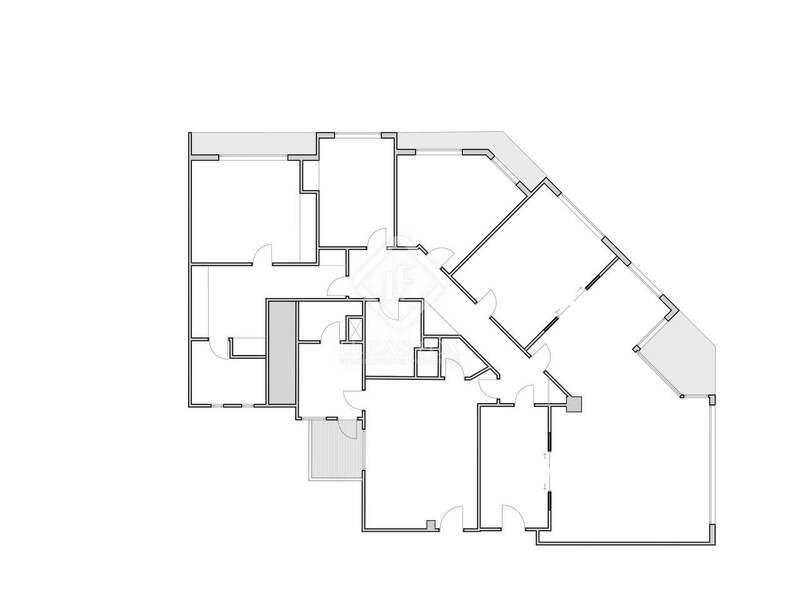 The entrance and halls are large and are concentrated in the central area of the property, making the layout comfortable and functional. 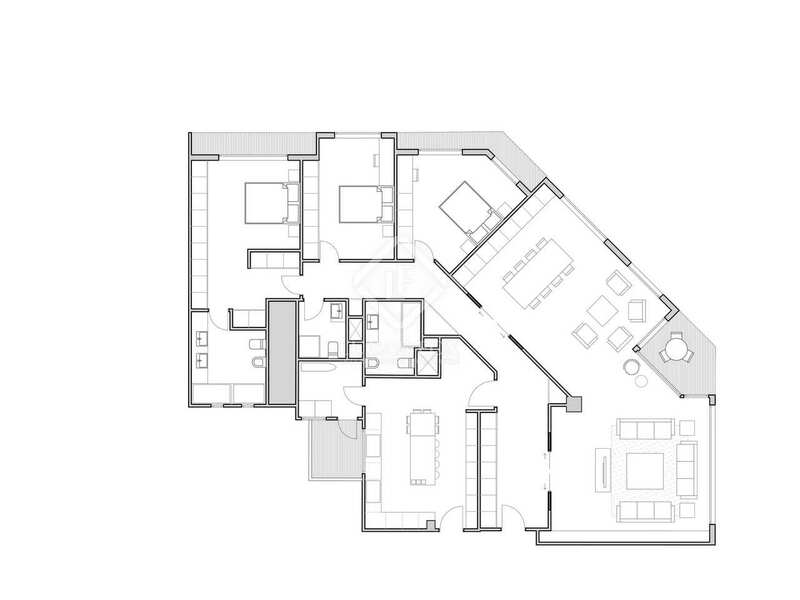 The living area is large and located next to the facade. 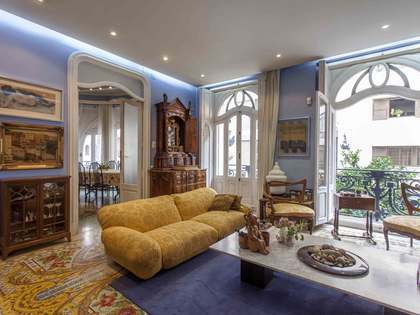 It is formed of 3 different rooms: the living room, the dining room and the library. 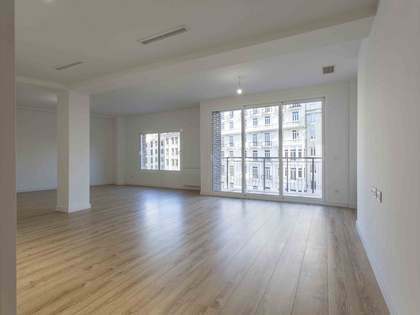 These rooms together cover approximately 60 m², with a terrace and large windows to the outside. 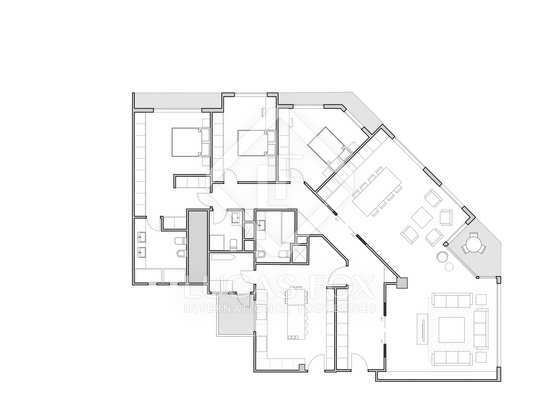 Next we find the large separate kitchen, with a utility area and a toilet, and next to it is the service area. With the current layout, the living area constitutes the majority of the home. Then we reach the night area, also next to the facade. First there are bedrooms and a complete bathroom, and finally there is the master bedroom, which comprises a second complete bathroom and a dressing room. This bedroom totals more than 20 m². 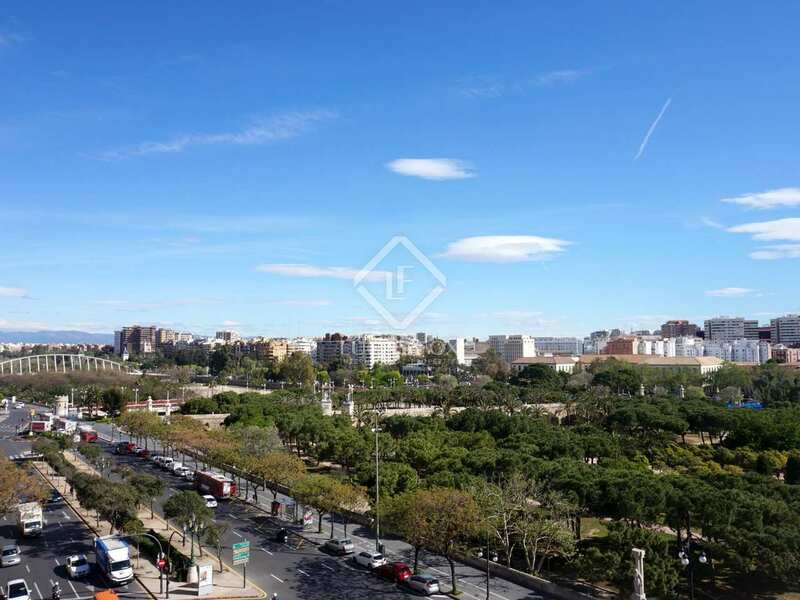 The bedrooms also enjoy two continuous balconies and all rooms have large windows overlooking the Turia Gardens. 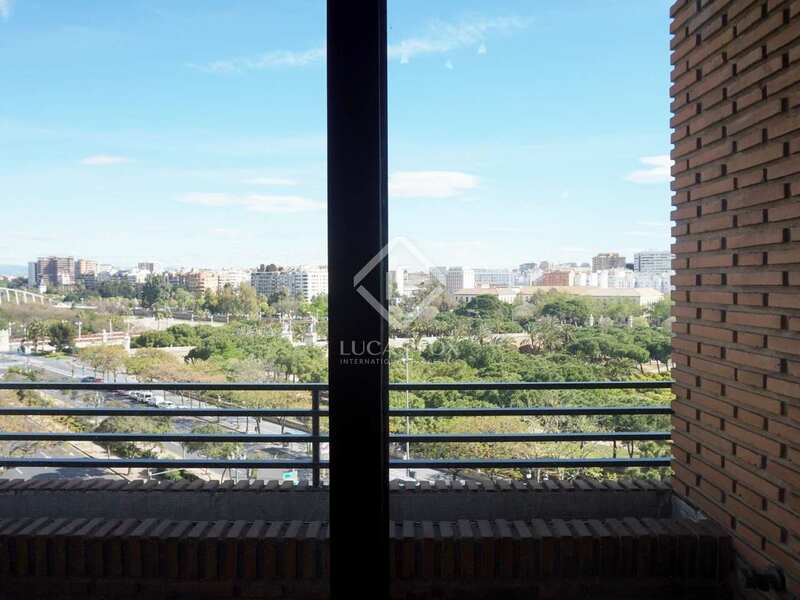 The apartment is in good condition and with an update it would become an exclusive property, in an unbeatable location and with exceptional views. 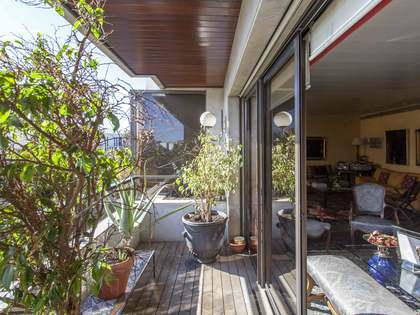 It could be renovated in a more modern, natural and minimalist style, with the focus clearly on the gardens and the blue Mediterranean sky. The vistas and the natural light make this a warm and very serene home. It would be ideal for a family with two children. 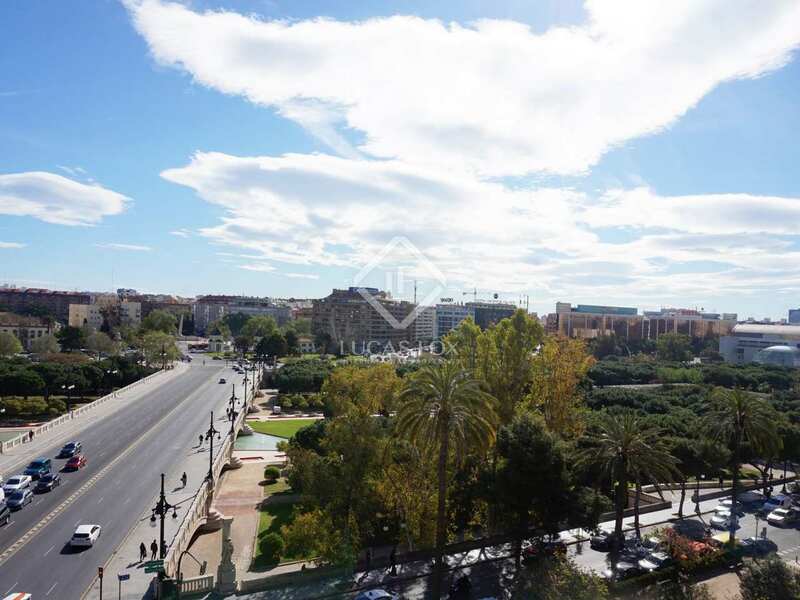 Property loctaed in Valencia City, close to the Turia Gardens and the tree-lined Gran Via, in a central residential area.